Debbie Gilmore is the Executive Director of Arrowsmith Program, starting in this position in August 2014. Prior to that she worked for eighteen months as the Arrowsmith Program representative in Australia and New Zealand. 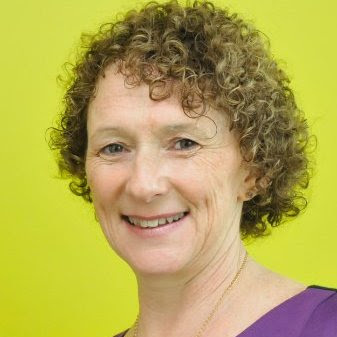 Debbie first heard about the Arrowsmith Program when she was Head of Diverse Learning Needs at the Catholic Education Office, Sydney, Australia which opened the first Arrowsmith Program in January 2013. Debbie knew that students with learning difficulties needed more support in schools. Her work as a teacher, literacy adviser, assistant principal and principal helped her understand the need to ‘unlock’ the potential of these students. Her role as a mother of a son with learning difficulties gave her first hand experience of the struggles of these individuals. After spending a year in Peterborough, Canada where her son commenced his Arrowsmith journey at Barbara Arrowsmith Young’s Arrowsmith School, she saw the benefits of the program and the changes to her son’s independence and academic learning. Debbie holds a Masters of Education and various Graduate Certificates in Education in a range of areas of diverse learning. We are all lifelong learners and know it is important to keep our brains fit and healthy. Research has found that the benefits of doing cognitive exercises is important as we get older. This is made possible by harnessing the principles of neuroplasticity, which is, simply stated, the ability of the brain to change both its physical structure and its functional organization, to form new neural connections throughout life. Debbie Gilmore, Executive Director of Arrowsmith Program, will talk about cognitive enhancement, the benefits of harnessing the principles of neuroplasticity and keeping our brains fit and healthy and what that entails. Debbie will also explore the ‘cognitive lens’; a way of seeing people’s behaviour through their cognitive functioning. David Newland is a writer, musician and host with a passion for the Canadian experience. His current project is Northbound: The Northwest Passage in Story and Song, a presentation & performance based on his travels to the Arctic. In November of 2015, David was named a Fellow of the Royal Canadian Geographical Society, a distinction that reflects a lifelong engagement with landscape and story. Born in Ottawa, raised on the shores of Georgian Bay near Parry Sound, David crisscrossed Canada and travelled the world before settling in Cobourg, Ontario. Awarded a scholarship to Lester B. Pearson United World College at seventeen, David went on to study literature at McGill and graduated with distinction from Concordia University’s Fine Arts program, majoring in photography. He then forged a unique career in the arts and media, combining writing, music, photography, public speaking and web production. David spends summers travelling with Adventure Canada as a Zodiac driver, performer and host. He travels as a performer and speaker from coast to coast throughout the year. His musical presentation, Northbound: The Northwest Passage in Story and Song has been selling out venues across Canada throughout 2016 & 2017. David Newland gave the keynote for the 2017 Prime Minister John Turner Water and Environmental Leadership Award Gala. David Newland’s latest album, Give It A Whirl, has been played on CBC and on roots radio shows from coast to coast. A new album, Northbound! based on David’s Arctic adventures is set for release in 2018. David has been featured in the television programs Canada’s Greatest Ride (for which he also wrote the theme song), and Mighty Cruise Ships and has appeared on numerous TV and radio shows. David Newland is an active supporter of ArtsCan Circle, Lester B. Pearson United World College, Green Wood Coalition, Northumberland Learning Connection and many other causes. 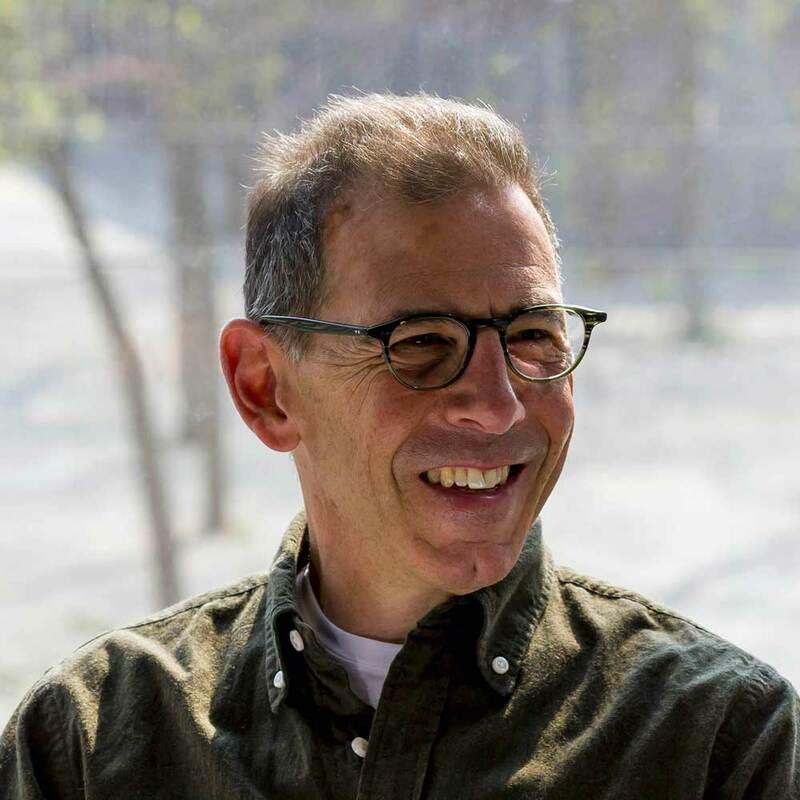 David served on the board of the Shelter Valley Folk Festival and Folk Music Ontario and currently sits on the board of the Northeast Regional Folk Alliance. The Northwest Passage: Tracing One Warm Line is a spoken presentation enhanced with projected images video, and original songs. Touching on the history of Arctic exploration, including the story of Franklin’s lost expedition and its, the presentation goes on to introduce Inuit ideas of territory, community, and creative culture. Also discussed are Arctic wildlife and ecology, including glaciers, sea ice and the potential effects of climate change in the North. Martin Cooper has been involved in archaeology in Ontario for over forty years. He received his honours B.A. in Anthropology at the University of Western Ontario and his M.A. at the University of Toronto, where he is currently completing his PhD. Mr. Cooper is a Senior Archaeologist at Archaeological Services Inc., the largest heritage consulting companies in Ontario. He has directed hundreds of precontact, historic indigenous and historic Euro-Canadian archaeological assessments throughout Ontario. Mr. Cooper has experience working for First Nations and Metis communities on heritage projects, peer reviews, as well as treaty and land claims issues. He has also directed indigenous consultation programs for private and public sector clients throughout Canada. He has spent considerable time working and travelling in northern Ontario. An experienced canoeist and guide, he is intimately familiar with the culture history and ecology of the Canadian Shield. Mr. Cooper is a long time resident of Thornhill. In his spare time enjoys long distance cycling and playing goal. He is currently the Secretary of Randonneurs Ontario. Sara Farhan is an Iraqi-Canadian who grew up in Ba’athist Iraq. She is pursuing a PhD in History at York University. Her research is centered on the history of the Hashemite Kingdom of Iraq. Sara Farhan’s research considers Hashemite Iraq, where a balance between pro-western forces and an eroding elite structure consistently failed to incorporate a burgeoning technocratic class into the state apparatus. Her dissertation explores the Royal Medical College of Baghdad. From inception, the college acted as a microcosm of the complexity of Iraq’s post-colonial state formation. The study of the standardization of higher education and the processes of governing heterogeneous populations through knowledge production sheds light on the history of Iraq’s pluralism and identity formation amidst tumultuous regional political dynamism. The Modern Middle East lecture will provide a perspective on the history of the politics of the Middle East. Emphasis on development in the twentieth century will be the main concern. The rise of Arab Nationalism and the impact of the Cold War will be emphasized. Ms Farhan will attempt to address the issues that are fundamentally ingrained in the Middle East’s geographical location, some of which continue to plague its inhabitants to this day. From the arbitrary formation of nation-states during the post World War I era, to the frequent outsider intervention of Britain, France, the Soviets, and the US, to the abundance of natural resources, and political environment of the nation-states themselves, she will demonstrate how authoritarian governments managed to prosper and persist at the expense of their people. Islam is only one part of a bigger picture. Paul Mortfield is a scientist and educator. He has worked on several NASA spacecraft missions studying the Sun and Moon. 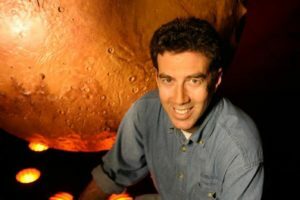 He hosted a variety of educational broadcasts on NASA-TV and is a regular television commentator on astronomical events. Paul is a former Director of the David Dunlap Observatory in Richmond Hill which houses the largest optical telescope in Canada. In his spare time, Paul plays piano, communicates around the world on HAM radio, and uses his remote controlled telescope in California for astronomical research projects and photographingthe wonders of the universe. Not all research in Astronomy is done at night. Studying our Sun provides us insight into how stars function and its impact on our solar system. However, with modern society’s ever growing dependency on electronic technology and the use of space satellites to manage important aspects of our daily lives, we need to understand and predict the harmful effects of Space Weather generated by the Sun. It is important for our future at home and for the safety of astronauts on long duration space flights. This illustrated talk will show our active Sun, its amazing features, and highlight the impacts of Space Weather. Mike Daley is a singer, guitarist and songwriter with touring and recording credits spanning a twenty-five year professional career. He is also a award-winning musicologist, with a Ph.D from York University. As a musician, Mike’s abilities have taken him all over North America and to Europe, and he has worked with Jeff Healey(playing second guitar in Jeff’s rock and jazz bands), blues songstresses Rita Chiarelli and Suzie Vinnick, alt-country phenom Justin Rutledge, and many others, as well as releasing two acclaimed full-length CDs with Fraser/Daley and another two as a solo musician. Mike is a versatile musician, proficient in jazz, blues, folk, rock and country music. In addition to acoustic and electric guitar, he plays banjo and lap steel guitar. 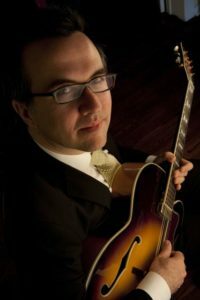 Mike keeps a busy schedule as a freelance musician, appearing solo and with his various groups at all manner of functions around the Greater Toronto Area. As a freelance lecturer, Mike has taught music courses at Guelph University, McMaster University, Waterloo University and York University as well as leading acclaimed later-life courses at York University, the University of Toronto, Ryerson University and George Brown College. Mike has published scholarly articles on American popular music in international journals and has been invited to speak at academic conferences.